Both history and travel book, "Landskipping" is a meditation on the nature of the British landscape of matchless brilliance and iridescent beauty that will reshape the way we think about our country. A ravishing celebration of landscape, its iridescent beauty and its potential to comfort, awe and mesmerise. Landskipping explores the different ways in which we have, throughout the ages, responded to the land, beginning in the eighteenth century when artists first started to paint English scenery, and the Lakes, as well as Snowdon, began to attract a new kind of visitor, the landscape tourist. Meanwhile, at the same time, an entirely different band of people, the agricultural improvers, also travelled the land, looking at it in terms of its usefulness as well as its beauty. What emerges as universal then and now is a place's capacity to frame and define our experience. 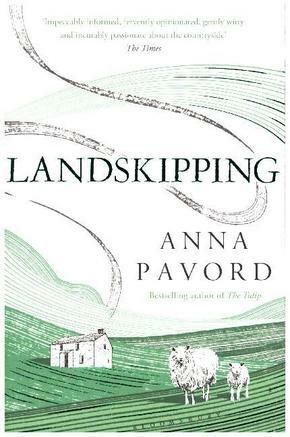 Moving from the rolling hills of Dorset to the peaks of the Scottish Highlands, this is an exquisite and compelling book, written by Anna Pavord with zest, passion and deep understanding.